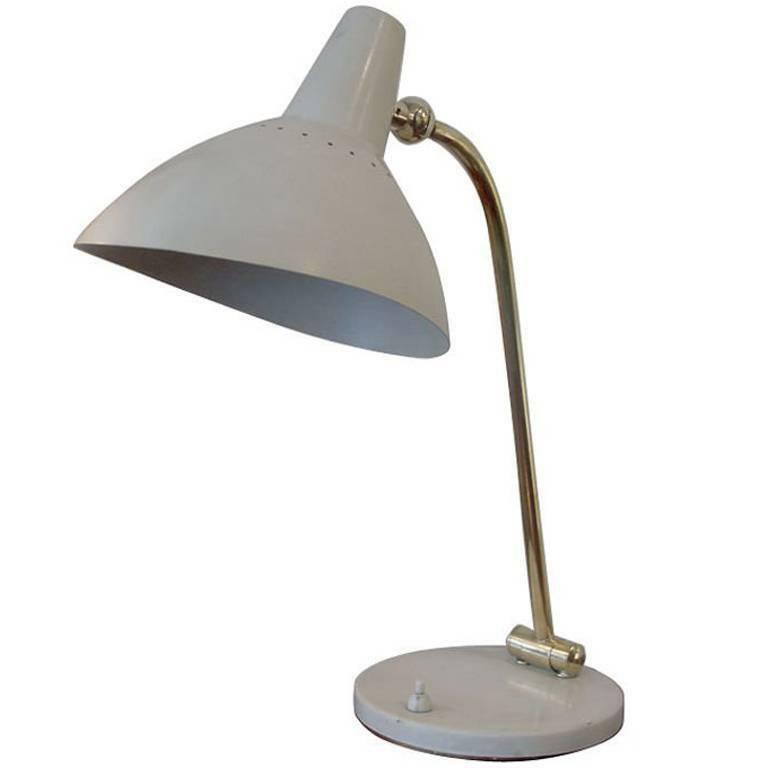 Handsome Dual adjustment desk lamp, likely manufactured by Stilnovo. Heavy duty brass hardware including the adjusting knuckles allows for a great deal of configuration. H 15 in. x W 7.25 in. x D 10 in.